For the Cleveland Cavaliers to win even a single game in the NBA Finals, they need a break to go their way. During Game Three Wednesday night they finally got one. Steph Curry and Klay Thompson went 3-15 from behind the arc, and between the two, they scored just 21 points. They combined with Draymond Green and JaVale McGee to score an unimpressive 41 points. 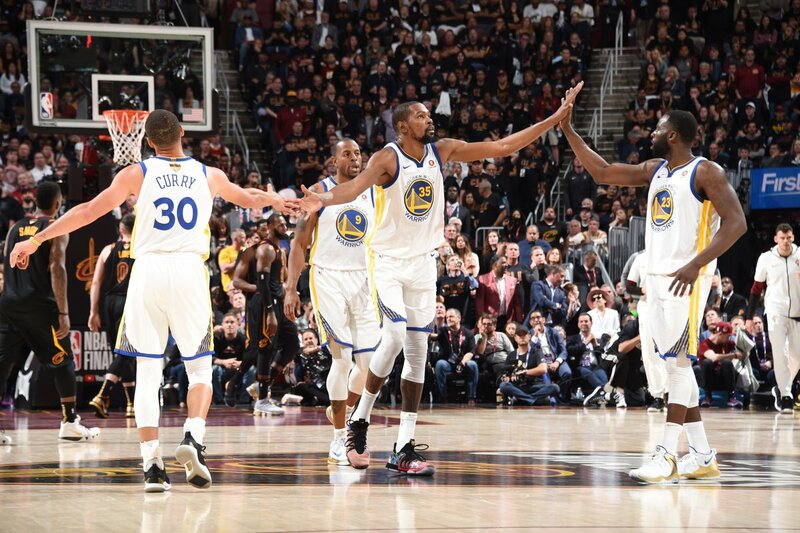 The stage was certainly set for the Cavaliers to record their first win of the NBA Finals with so many of the Warriors playmakers having off nights. But there was one playmaker that didn’t have an off night, Kevin Durant. As it turns out, he was enough for the Warriors to win Game Three over the Cavaliers. Cleveland came ready to play and got the game started with a 16-4 run. But by the time the first quarter came to an end, the lead was down to one point, 29-28. With many of the Warriors struggling to make shots, the Cavaliers were able to get out to a 13-point lead, 50-37, with 4:06 left to play. However, a 34-foot three-pointer by Kevin Durant at the buzzer cut the Cavaliers lead down to six points, 58-52, heading into halftime. Once again, it was close enough for either team to come out strong in the third quarter and take over—which Golden State did. A JaVale McGee layup gave the Warriors the lead, 65-64, early in the quarter. When it ended, the Warriors held a two-point advantage, 83-81. 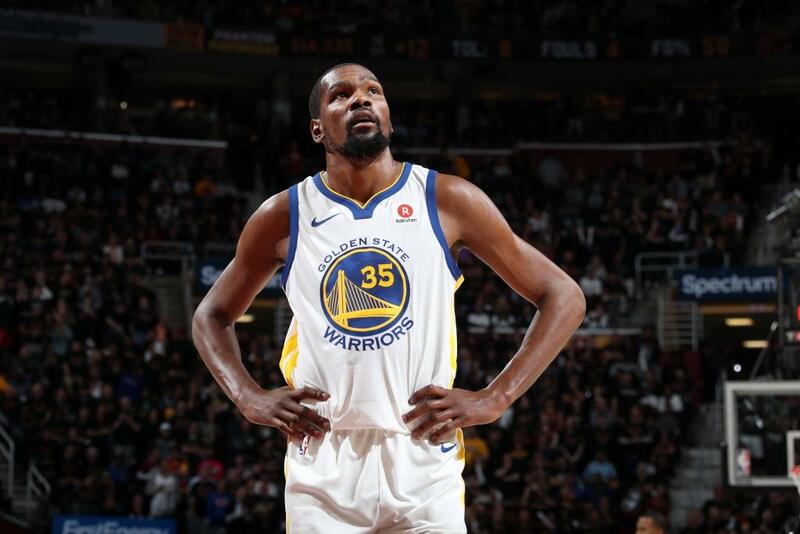 The game remained close throughout the final period until Kevin Durant struck from deep once again. With 49.8 seconds on the clock, he hit a three-pointer from 33-feet out to put the Warriors on top, 106-100. Steph Curry hit a pair of free throws in the final seconds to make the final 110-102, Warriors. Durant outscored the other starting four for the Warriors with 43 points (the rest had 41 points). He also came within three assists of a triple-double (13 rebounds and seven assists). LeBron James did have a triple-double for the Cavaliers with 33 points, ten rebounds, and 11 assists. Kevin Love helped out with 20 points and 13 rebounds. Rodney Hood made the most of his playing time with 15 points and six rebounds off the bench. The Warriors opened a door for the Cavaliers to win a game. But Kevin Durant kept them from walking through it. Golden State now holds a 3-0 lead in the best of seven series, which no team in NBA history has ever come back from. Game Four will be in Cleveland Friday night at 9 PM ET, and the Warriors have opened as 4.5-point favorites.